Lead: Rich Knight. Tenor: Kipp Buckner. Baritone: Rob Henry. Bass: Jim Henry. Just before beginning their ascension to international acclaim the Gang released this recording of twelve songs which are of a great variety. 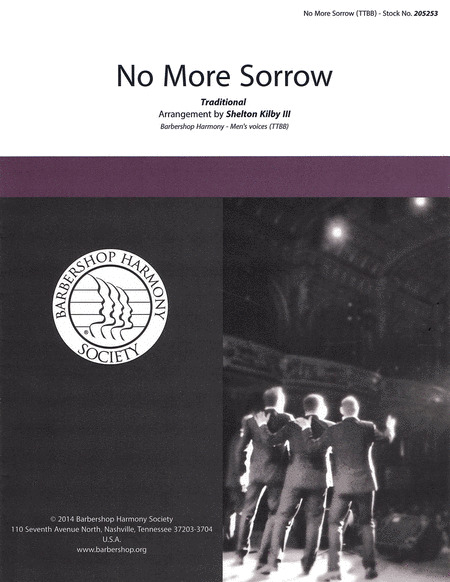 You keep running into unexpected little embellishments on the pure barbershop songs such as the brief intimation of calliope or the bell-like chord inthe "Bowery Medley." Then there is the ringing traditional close harmony of "So Long, Mother," the sweet beauty of "When I Look In Your Eyes," the humorous "My Old Man" (of Smothers Brothers fame) and the fabulous enunciation on "The Chemical Elements." There's gospel, a popular sound on "Sixteen Tons" and the "William Tell Overture" is in the spirit of their later Mozart spoof. Great! David Wright's arrangements have been performed by many international quartets including The Gas House Gang, Nightlife, Michigan Jake, Vocal Spectrum, Crossroads and others. "Mary Had a Baby" is a beautiful traditional spiritual that celebrates the birth of Jesus. Sing it freely paying attention to the melody transfers among the voice parts. This arrangement was originally recorded by the Gas House Gang on their classic barbershop recording A Little Night Music. It's an uptempo, joyful song which should be great fun to sing. In a chorus performance the two solos can be shared by two singers or may feature a single lead voice.